Padraic is Deputy Director at the Social Change Initiative. He has over 20 years’ experience in researching, supporting and advocating for social change in Northern Ireland and internationally. He has worked inside government, in academia, as a public policy consultant and in philanthropy. His work has focused on some of the most contentious issues associated with societies emerging from conflict – tackling inequalities through public policy making, ensuring the participation of communities most affected by conflict in the development of public policy and protecting the human rights of the most disadvantaged. He has published comparative research on peace building in Northern Ireland, South Africa and Israel/Palestine. 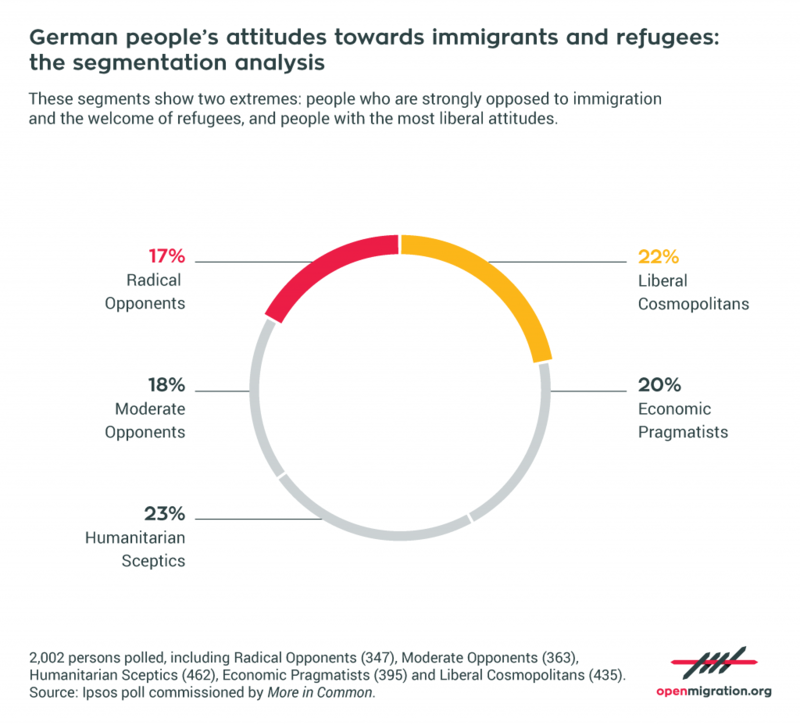 A research by Social Change Initiative and Purpose Europe analyzing inclinations and worries about immigration in different sectors of public opinion in Germany. The recent electoral success of the AfD in Germany reflects a growing trend towards the twin dangers of nativism and nationalism. The danger for Merkel in the future will be to see if she can stem the flow towards the AfD amongst the “middle ground” of German society that is deeply conflicted over immigration, Islam, and “otherness”. The Social Change Initiative (SCI) recently partnered with Purpose Europe to commission Ipsos MORI to conduct segmented opinion polling in Germany to get a better sense of what various segments of the public think, why they think it and what messages address their concerns. The segmentation approach works by drawing on representative sampling of 2000 people which provides insights for influencing public opinion. 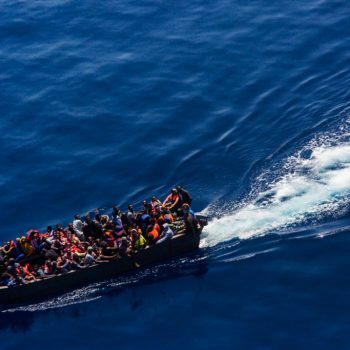 The approach is useful for identifying the population segment most ready to take action to support refugees and migrants; identifying those that are most hostile and identifying those holding mixed views, including those most open to changing their minds. This latter group, sometimes referred to as the “conflicted” or “anxious middle” was shown to represent 61 per cent of German society. A battle for the hearts and minds of this “middle Germany” is beginning and in order to reach them, we must understand them. Who is Germany’s conflicted middle? First, the middle can be divided into three distinct groupings – the survey calls them “economic pragmatists”, “humanitarian sceptics” and “moderate opponents”. Whilst each group hold significantly different views and voiced a spectrum of concerns, they are, importantly, more open to persuasion and less emotionally driven than the two groups at the opposite ends of the spectrum : “liberal cosmopolitans” and “radical opponents”. Economic Pragmatists – 20 per cent. This group take pride in their German identity and have a positive outlook for their future. A high proportion believe that immigration makes Germany more open to new ideas and cultures. They however have concerns about the compatibility of the Islamic faith with German culture. They do not think that refugees should be permitted to live in Germany permanently. This group cuts across all age groups, has medium educational levels and medium-to-high incomes. A higher proportion of this group were not born in Germany and their parents were born abroad. Political affiliations of this group tend to sit with CDU/ and the SPD. Humanitarian Sceptics – 23 per cent. This segment see accepting refugees as an obligation and a matter of principle. They are conflicted about the potential for refugees to integrate into German society and are less likely to believe that refugees should be permitted to live permanently in Germany. This group tends to be older – 60+ and is highly educated although many members have low incomes. They identify mostly with the CDU/CSU, FDP and Left Party. They are primarily drawn from medium sized cities such as Bremen and Hessen. Moderate Opponents – 18 per cent. They have deep reservations about Germany’s refugee intake and question whether or not refugees are genuinely fleeing war. They hold negative views towards Islam and believe that there are security risks associated with refugees. They support the closing of the borders and while they share many of the same views as the Radical Opponent group, they do not hold those views with the same intensity. They do not feel close to any political party although some identify with AfD and NPD. For context, it is useful to understand the 39 per cent of the population at the opposite end of the spectrum. These two groups are staunch in their beliefs and unlikely to be moved. Interestingly, most messages and stories about immigration are built around their views. Liberal Cosmopolitans – 22 per cent. They are open minded, pro-immigration and believe that immigrants are willing to integrate. Immigration is regarded as good for the economy and cultural life. This group comes from across all age groups although they are most often found in large cities. They are more active in relation to volunteering. They identify with the SPD, the Green Party, the Left Party and the Pirate Party. Radical Opponents –17 per cent. This group is most opposed to refugees and migrants. They do not think that immigrants are willing to integrate. This group feel “left behind” and are fearful about their future and the future of Germany – their German identity is disappearing. So, how do we talk to the anxious middle? One general but core principle emerging is that those in the “moveable middle” need reassurance that the government is in control of immigration and is effectively working to integrate refugees. Their greatest concerns relate to security and integration. Moderate opponents are hard to reach by nature yet mechanisms need to be found to ensure that their genuine concerns are being heard. The full report (English/German) delves into the nuance of views held by the different groups and the multifaceted ways to approach and deliver messages to them. Gathering this data and analysis is intended to inform efforts to build more effective communications by public voices, whether they are in government, business or in civil society and ultimately, to counter the appeal of authoritarian populism. The segmented nature of the findings highlights a pressing need to develop more effective strategies, messages and approaches that talk to the ‘anxious middle’. To that end SCI is bringing civil society groups together to use the data in support of their policy, communications and advocacy efforts. We are supporting International Centre for Policy Advocacy to launch a capacity development programme, ‘Narrative Change Lab’ to help civil society actors to connect more effectively with the anxious middle.. Similar research has been completed in France and is underway in the Netherlands, Italy and Greece. 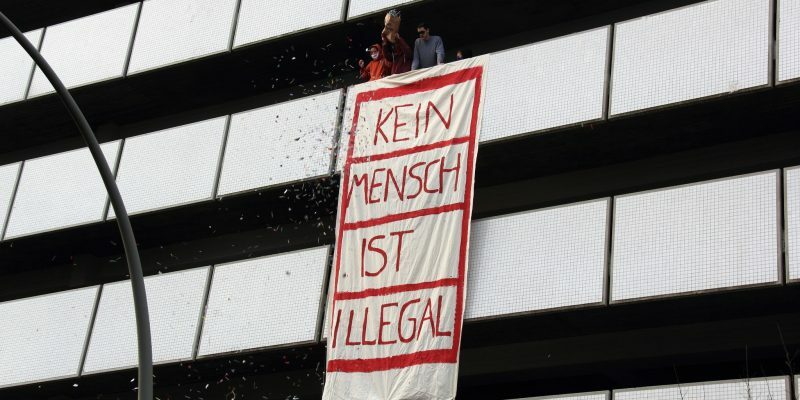 Cover image: demonstration in Hamburg – via Rasande Tyskar (CC BY-NC 2.0). Disclaimer: the Italian Coalition for Civil Liberties and Rights is partner of The Social Change Initiative and Purpose in the similar research currently underway in Italy.